The year is 2009. Nineteen-year-old Jackson Meyer is a normal guy… he’s in college, has a girlfriend… and he can travel back through time. But it’s not like the movies – nothing changes in the present after his jumps– it’s just harmless fun. That is… until the day strangers burst in on Jackson and his girlfriend, Holly, and during a struggle with Jackson, Holly is fatally shot. In his panic, Jackson jumps back two years to 2007, but this is not like his previous time jumps. Now he’s stuck in 2007 and can’t get back to the future. Desperate to somehow return to 2009 to save Holly but unable to return to his rightful year, Jackson settles into 2007 and learns what he can about his abilities. 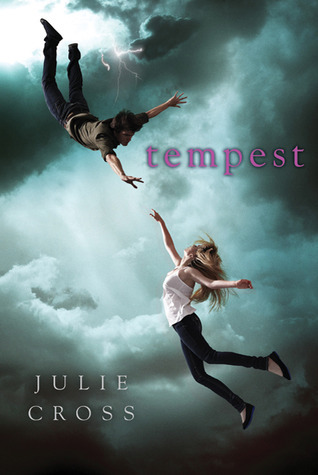 A success in the making: Pre-empted by Summit Entertainment (producers of Twilight) for feature film, with foreign rights sold in more than a dozen countries, Tempest, on sale January 17, is the first book in the buzzed about Tempest series by Julie Cross. It looks like a really good book. John Barlow Guest Post and Giveaway!